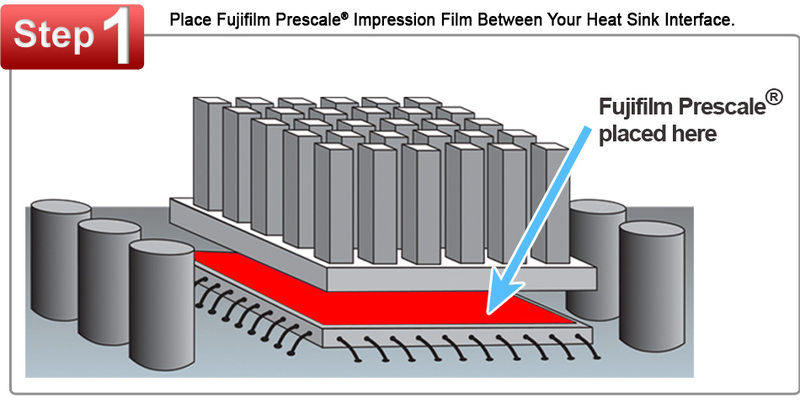 Simply place Fujifilm Prescale®pressure indicating sensor film between any two surfaces that touch, mate or impact. Apply pressure, remove it and immediately the film reveals the pressure distribution profile that occurred between the two surfaces. Conceptually similar to Litmus paper, the color intensity of Fujifilm Prescale® is directly related to the amount of pressure applied to it. The greater the pressure, the more intense the color.